The Inquisitive, Intelligent American Hairless Terrier Temperament: Can You Handle This Lively Breed? The only hairless breed to originate in the United States, the American Hairless Terrier temperament is playful, loving, and alert. 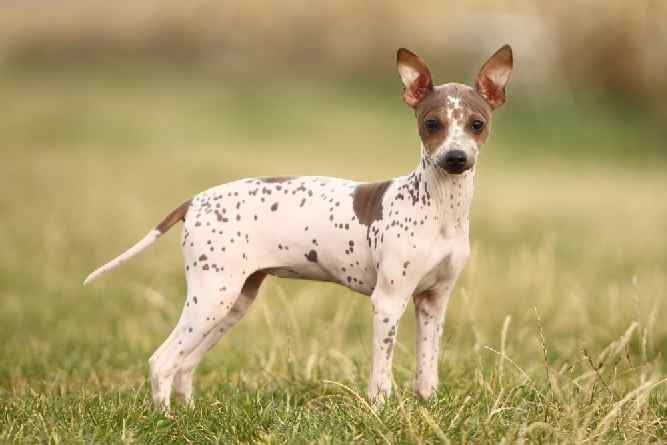 American Hairless Terrier dogs are identical to Rat Terriers – save for their lack of hair. The story of the American Hairless Terrier – or AHT – begins in 1972, when one hairless puppy was born in a Rat Terrier litter. That one puppy – called Josephine – was the mother of the whole breed. Today, American Hairless Terriers are rare and only gained AKC recognition in 2016. American Hairless Terriers are a loving, friendly breed. They make great companions for all types of families. American Hairless Terrier pups are great with children – especially if they are raised with them. Thanks to their terrier heritage, American Hairless Terriers can be territorial, so they require an owner who knows how to be a leader. For the most part, this AHT’s are welcoming of new people and are not aloof with new humans. In true terrier fashion, American Hairless Terriers make excellent watchdogs – always alerting you when potential intruders are near! 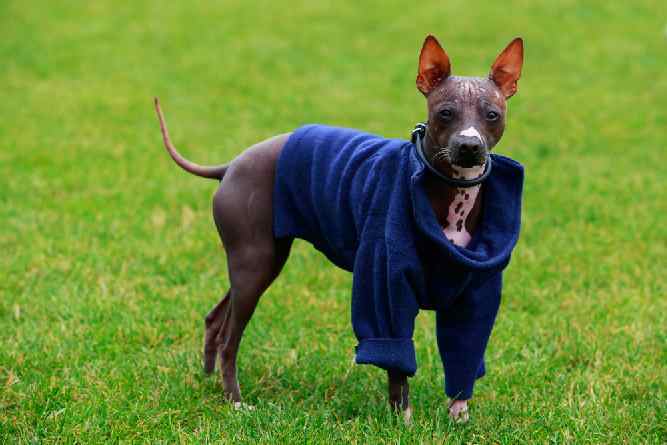 Though they are energetic and lively, American Hairless Terriers can adapt to almost any environment. Provided they get taken for daily walks, they’ll do well with apartment dwellers and homeowners alike. The American Hairless Terrier is an intelligent and inquisitive breed. They are eager to please, though, and are highly trainable. American Hairless Terriers respond best to positive reinforcement training. Use treats and praise to keep your AHT concentrated on the task at hand. Keep sessions short to avoid boredom or burnout. This breed can, however, turn stubborn and willful without calm yet assertive leadership. Both early socialization and puppy training classes are recommended for the American Hairless Terrier. Expose American Hairless Terrier puppies to different people, situations, and places so they become well-mannered and adjusted adults. Training classes help both owners and puppies learn basic obedience skills and enhance the bond between human and puppy. Do you think you have what it takes to add an American Hairless Terrier to your family? Now it’s time to find the perfect one. You have a couple options when finding the perfect AHT: adopting from a rescue organization or purchasing from a breeder. To determine which option is best, consider your lifestyle. Do you have what it takes to raise a puppy? Puppies require constant attention, patience, and a lot of time. If you don’t think you are ready to add a puppy to your family, why not consider American Hairless Terrier adoption? While you can adopt an AHT puppy, many rescue organizations have adults or even seniors available for adoption. Adult dogs are perfect for busy families or individuals who don’t necessarily have the time to raise a puppy. American Hairless Terrier puppies for sale from a breeder will cost an average of $300-$500. While American Hairless Terriers for sale from a rescue will range between $200-$400. 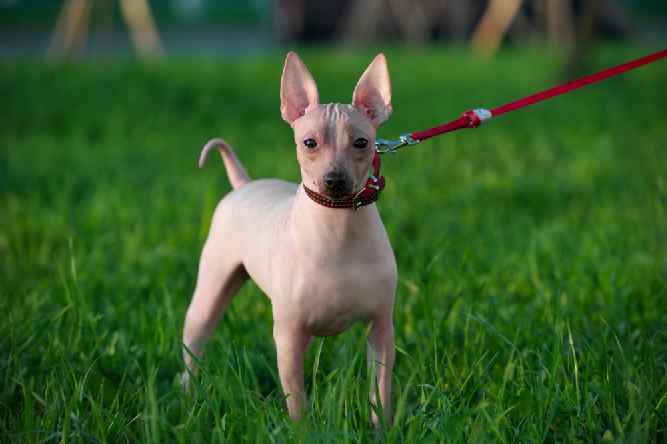 The cost of an American Hairless Terrier from a breeder is dependent on location and litter availability as well as AKC status. 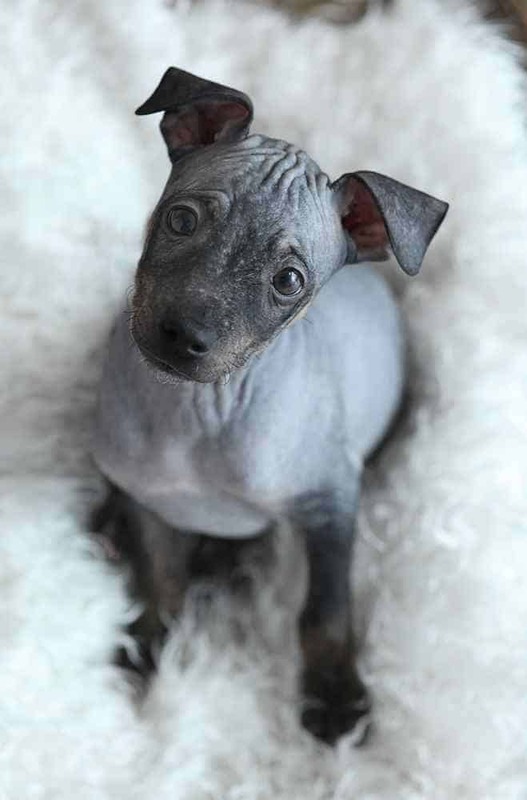 The American Hairless Terrier price from a rescue includes spay/neuter (if necessary), vaccinations, as well as microchipping and any other required costs. If you’ve weighed the options and decided American Hairless Terrier rescue is for you, your first step should be researching local rescues. Because this breed is so rare, you may have to wait until your local rescue has an AHT available, or travel to a non-local rescue. However, if you are not set on a purebred AHT, you can adopt an American Hairless Terrier mix. Bald is Beautiful is a rescue organization dedicated to homeless hairless and small breeds all over the country. Decided to purchase an American Hairless Terrier from a breeder? Now it’s time to find the perfect one. Begin your search by researching local breeders and planning visits. While there are many reputable breeders, there are also non-reputable breeders. A reputable breeder will promptly respond to your inquiry as well as answer any initial questions you may have. Their home and/or kennel should be clean – a dirty kennel area is a big red flag! Breeders should treat their puppies and dogs lovingly and make sure they are properly socialized. Bring a list of questions to ask the breeder and be prepared to answer questions in return – especially if the breeder is reputable. Ask about health certificates and what would happen should you need to return the puppy for any reason. The American Hairless Terrier size is small. They weigh between 12-16 pounds and stand between 12-16 tall. Their life expectancy is between 14-16 years. The American Hairless Terrier comes in two varieties: hairless and coated. 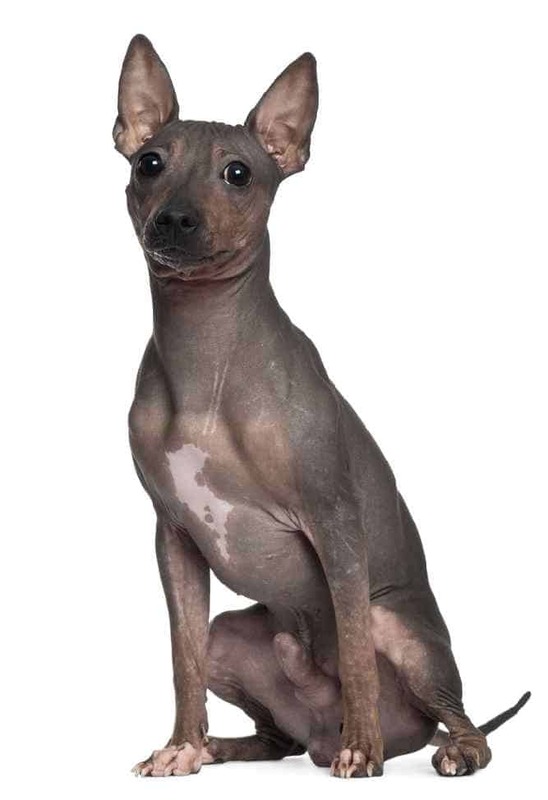 Coated American Hairless Terriers have a short, dense coat while hairless AHT’s do not have any fur. As you can imagine, grooming an American Hairless Terrier is quite easy – they have no fur! But, they do require bathing one to three times per week. Preventing sunburn and keeping them warm in the winter is necessary. If their sky becomes dry, you can use non-lanolin lotion. While they do not shed and do not get fleas, their skin cells shed every 20 days or so; dander is minimal, though. The American Hairless Terrier’s hypoallergenic nature makes them perfect for allergy sufferers. Note: Don't let the issues above scare you. The best way to approach health problems is to prevent them in the first place. The Ultimate Guide to Dog Health is a great place to start. Get a copy to keep at home. It will help you prevent the painful health issues that can plague your lovely AHT pet from expressing his winning personality and maximizing his life expectancy. American Hairless Terriers are a moderately active breed. They only require regular brief walks or playtime in the backyard. AHT’s love to play with other dogs in the dog park, too. While they enjoy activities, American Hairless Terriers are just as happy to curl up on the couch next to their humans! They also do well in dog sports such as agility, rally, and obedience competitions. Conclusion: Why the American Hairless Terrier? The American Hairless Terrier is a true terrier: lively, inquisitive, and intelligent. They make wonderful family companions – especially those with children. AHT’s are easily trainable and adaptable. They only require a moderate amount of exercise and are just as happy hanging out with you on the couch. If you’re on the hunt for a loving, playful and alert breed, the American Hairless Terrier is the ultimate companion.